Being on vacation makes you read, watch and hear a lot of stuff. And by that, I mean the timely issues that the country is facing today. No, I wasn't able to join the Million People March last August 26, but I was with them in spirit, hating the fact that the tax money that was being slashed off my paycheck every month goes to the undeserving parties. But what makes me feel cheated the most is how the government always says there are no special treatment to Janet Lim-Napoles. Of course, we Filipinos feel impatient that there is no sudden action after her surrender and news have been just reporting about her claustrophobia and the rise of her blood pressure. I cannot blame our people of being so disgusted about what is happening around us. 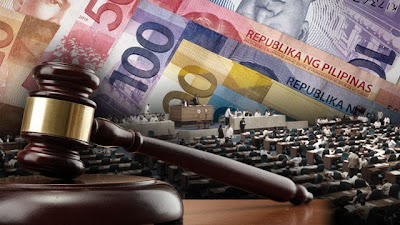 An official release from the government was uploaded about what will happen after abolishing the pork barrel and fair enough, this new system gives me a little bit of hope that the Philippines will finally get the right programs and reforms that it so much deserve. I once saw a TV program where they interview students if they know Janet Lim-Napoles. It is disappointing that some of the future generation are not aware of what's happening around them. Maybe someday, when the government funding finally comes to place, our money could go somewhere useful so the children will be wise enough to fight corruption and be what our national heroes hoped for. So for now, all I can wish is a more transparent government. No buts, no ifs. Yes, I think we can wait for due process when the process is clean and the information will be laid upon the people. And dear government, we will be all watching. I am expecting big things starting today.